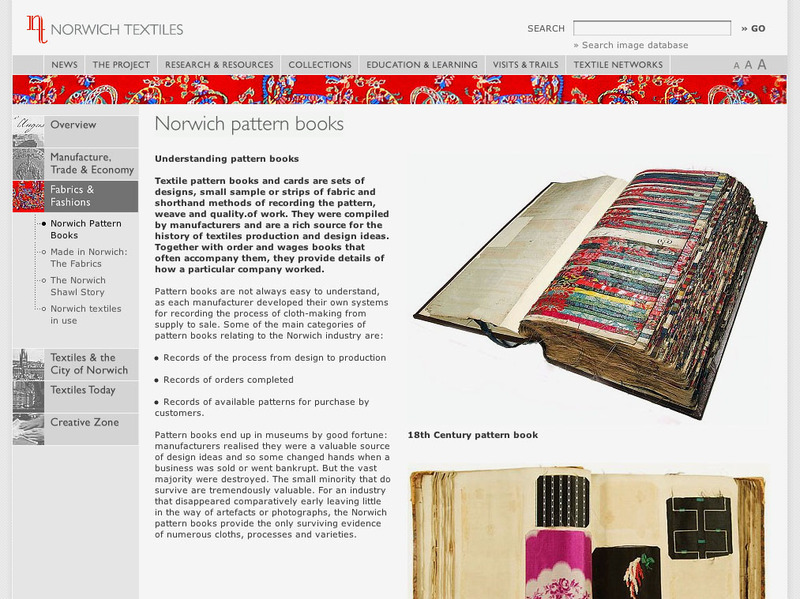 The Norwich Textiles website documents and the rich textile culture of the City of Norwich in the East of England. 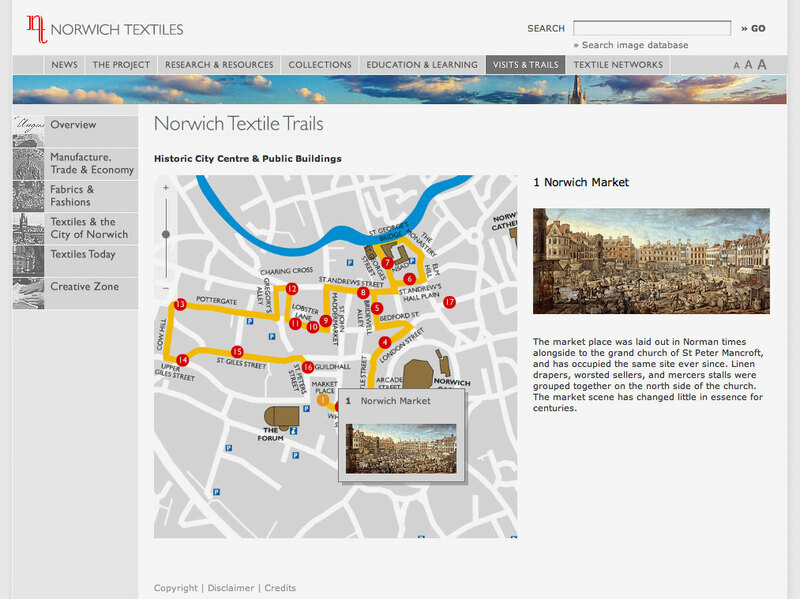 The project was commissioned by Norfolk Museums and Archaeology Service and the Norfolk School of Art and Design. 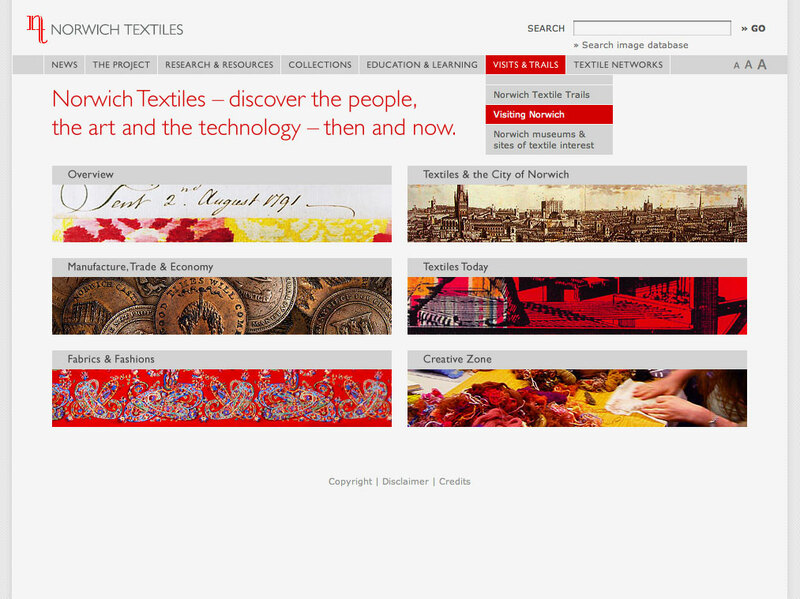 It was created in collaboration with Gero Grundmann from studiobec, who also executed the Corporate Design for Norwich Textiles. 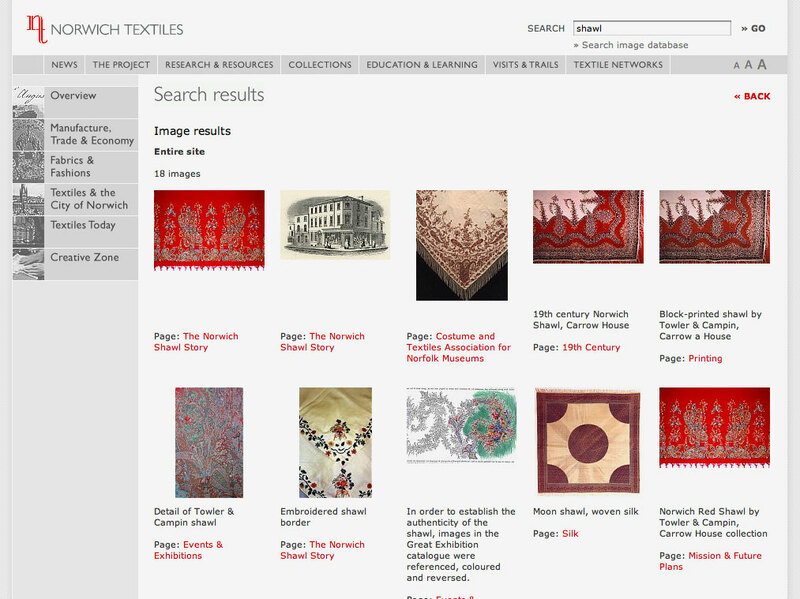 The site offers comprehensive historical content, visitor information, interactive Textile Trails and a large image database of textile pattern books, shawls, etc, which is currently being expanded. The site is based on an individually written content management system, based on PHP/MYSQL. 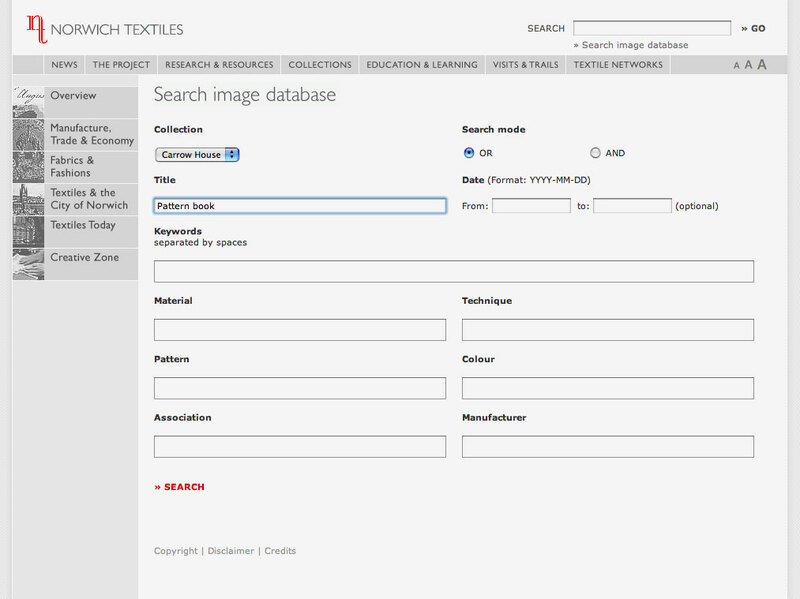 It includes editing of each page, user administration as well as an image and file database. 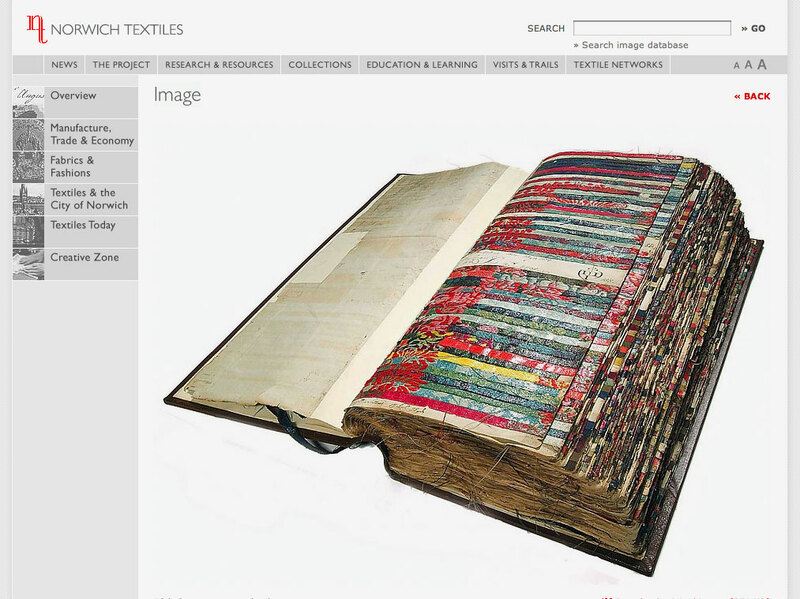 The interative sections were created in a combination of Flash and AJAX.